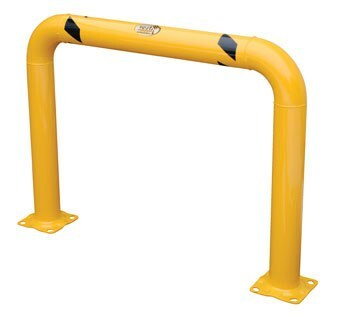 This 48 x 36 x 4 inch High Profile Machinery Guard is heavy-duty welded steel construction for protecting racks, building walls, expensive equipment, and hundreds of other applications. Yellow powder coat finish. Two (2) base plates with four (4) pre-drilled mounting holes in each plate.